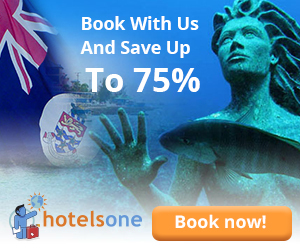 On 1st of May! The day that almost everyone got day off in this world. 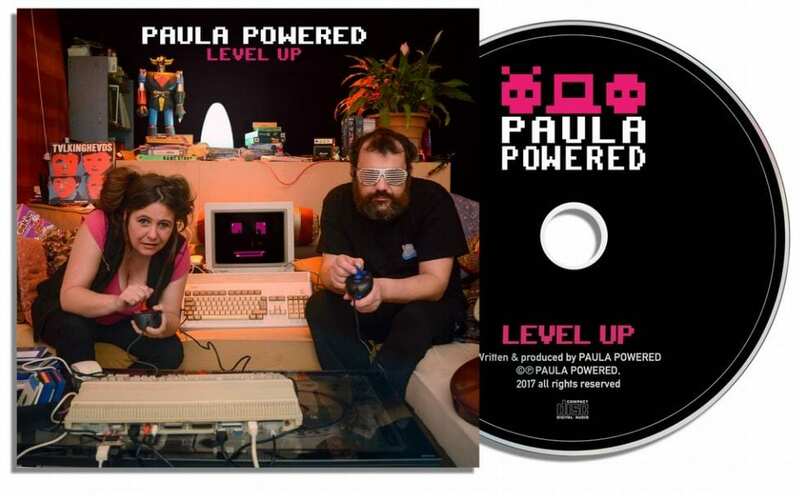 Paula Powered will release their newest album called Level Up. Music listeners that loves digital punk and people that loves Amiga will love this. Fantastic performance and that their Amiga 1200 is standing there at the stage together with them is just extravaganza cool! Paula Powered is described as a Digital Punk band, that also mix 80’s retro sound coming from their Amiga 1200 into the 21st century on the stage. This group puts punk, pop and electro together in a perfect mix! I just love the style and so their album is something that I wants my hand on as quickly as possible! 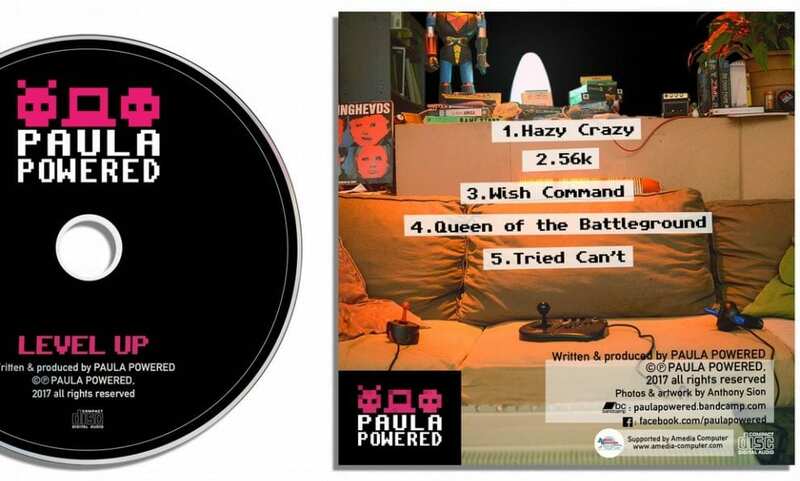 Paula Powered in their Powered Up album doesn’t just feature the vocals from Sally Ann, which writes articles for Distrita but also features Guitar and Programming by Syvlain de ST Pierre. According to the British-French-Digital trio this CD represents the end of a cycle and the beginning of a new adventure, going way back to 2010 with their very first track of Hazy Crazy, wrote by PAULA POWERED during the Christmas period. This latest album features many of the tracks such as ‘ Type Anything to Start ‘, which have not only been re-recorded, but re-mixed and remastered and in their words ” Demonstrates how their sound has evolved since their early days “. Finally their album is out. Fans have been waiting and waiting for this! So, on 1st of May you can actually buy this album with its awesome cover! However if you must listen to their music today, you can watch them on the latest stream from Amitopia TV on 23rd of March 2017. If you can’t wait until 1st of May, the album is also available on streaming platforms such as iTunes, Google Play, Deezer and Spotify. It is really fantastic to see such woman which Sally Ann is. She have a family but also do what she loves and that is a spirit that many women and men should live after. Paula Powered deserves attention as they spread energy and love at the stage from the very first tone. We at Distrita and Amitopia loves this spirit…! Long live the Amiga spirit, which Sally Ann takes to yet another dimension with her music.